Those who call themselves pet lovers can be divided into two groups – those who buy pets and the evolved set which rescues and adopts. The latter is the one in whom our hopes reside on. For they are the ones who know what that not everything good in life needs to come with money. Here are four heartwarming rescue stories which usher hope for humanity. Some vacations don’t go as planned. British student Georgia Bradley found it the hard way during her trip to Crete.The young woman was alone on the beach when two men asked her to go for a drink, and then turned violent when she refused. Her savior came and fended off the assailants. The knight who saved the day was a stray dog. When Georgia returned to the UK, she couldn’t stop thinking about the dog who saved her. 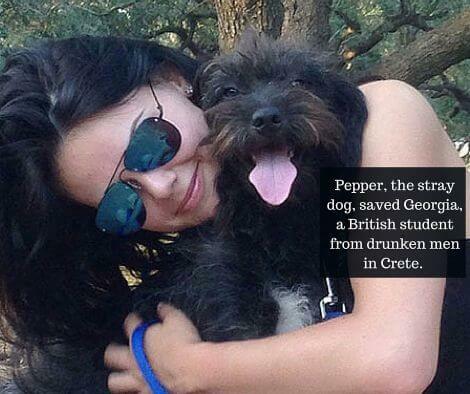 She took the soonest flight back and dropped by the beach to find Pepper, the hero dog, and brought her home to the UK. 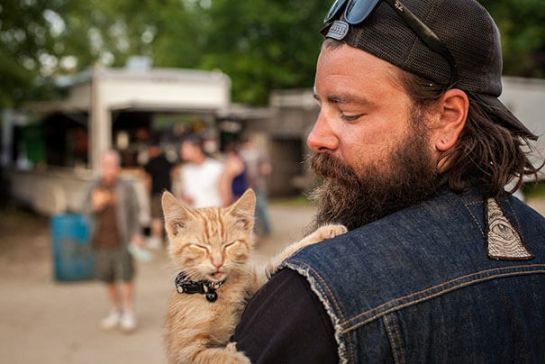 Pat Doody, the biker, recently rescued a kitten while riding cross country from Nevada to New Jersey. He found the kitten at a gas station and named it “Party Cat.” The cat now lives with Doody and has seen a vet. 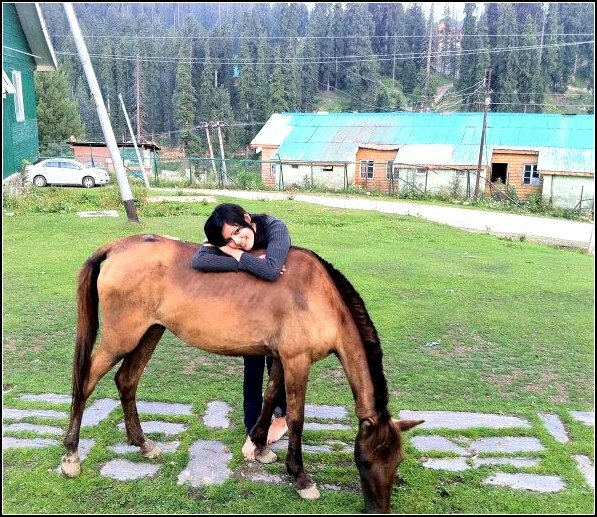 When she isn’t electrifying the Delhi party scene, Aakriti Bamniyal can be found petting strays or rescuing them. As someone who lives up the words, her home has cats and dogs of all colors and all of them have been Rescue cases. 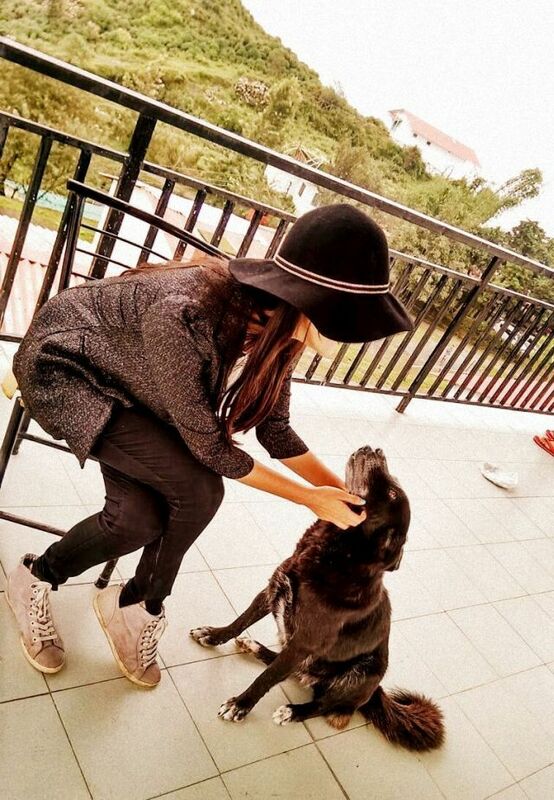 Aakriti Bamniyal lives with an adopted family of dogs and cats. Perhaps this is what an ode to happiness truly means. 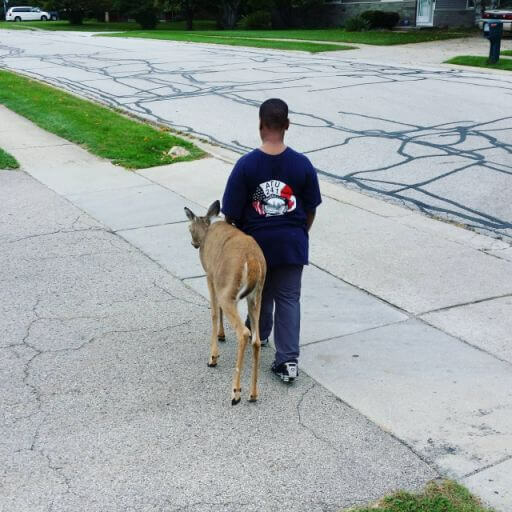 There is a blind deer in a US town and this boy walks her from one grass patch to another every day before school to make sure she finds food. Now, a local wildlife rescue group is picking up the deer so that she can be looked after and stay out of traffic. Are you a proud rescuer? Tell us your story! a lovely click I must say 🙂 and beautiful lines to go with it..